Ultra-modern building comprising a 3, 4 or 5-bedroom apartment with 120m² of terraces with a pool on the first floor, ten 2 or 3-bedroom apartments on the next five floors and a spectacular 3, 4 or 5-bedroom duplex penthouse on the two upper floors, boasting fantastic terraces on both levels with a jacuzzi and breathtaking views over the city of Barcelona. Parking and storage is included in the same building. 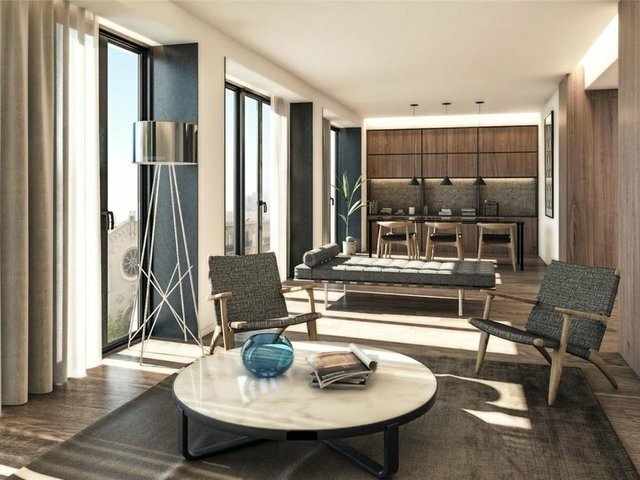 The apartments have been beautifully designed by prestigious architect firm GCA Architects, combining new technology with a cutting-edge design. The spacious apartments measure from 125m² and benefit from high ceilings and large windows, ensuring abundant natural light. There is the option to add a fourth bedroom to the principal floor apartments and a third bedroom to the other apartments at an additional cost. These beautifully renovated apartments would make an ideal primary residence, investment property or pied-à-terre. Due to their proximity to Plaça Catalunya and Paseo de Gracia the properties are extremely well connected to the entire city, the beaches of Barcelona and the recently refurbished Marina Port Vell.